Wael is a Senior Investment Committee Advisor for Galapagos Partners, L.P., where he oversees investment opportunities as well as assisting the Firm increase its geographic footprint domestically and internationally. 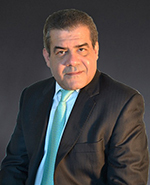 Prior to joining Galapagos, Wael held positions with Safron Advisors – a Deutche Bank backed private equity fund domiciled in London, England, where he was a founding member as well as Chief Investment Officer for a leading merchant family in Kuwait. Wael is an Undergraduate of Emory University, and the Wharton School of the University of Pennsylvania with a Masters in Business Administration. Wael resides in Atlanta, Georgia.